Boosting connectivity between its social media dashboard and one of the world’s most popular professional online networks, HootSuite has announced it now offers free management of LinkedIn Company Pages, also hitting the 4 million global user mark. HootSuite has boasted Company Pages, Group and Profile support via its beta program but required users to sign up for a HootSuite Enterprise account. This provided unlimited access to analytics, profiles and a number of premium features. However, from today, HootSuite has dropped that requirement for more than 160 million LinkedIn users but also the 79 of the Fortune 100 companies that use its online tool, hoping to spur interaction with the 2 million+ Company Pages already set up on the professional social network. 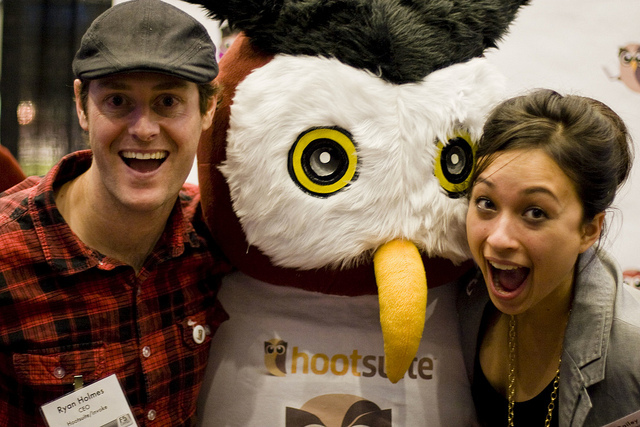 HootSuite added a million more users in the following six months, hitting three million signups in January 2012. The company announced that its 3 million users had sent over 600 million messages from 6 million social profiles, thanks to the ability to manage multiple accounts from the likes of Twitter, Facebook, Google+, LinkedIn, Foursquare, MySpace, WordPress and Mixi. As with any of HootSuite’s supported services, users can authenticate their LinkedIn login to bring up a full list of LinkedIn Profiles, Groups and Company Pages associated with their account.